Welcome to Part 4 of the continuing series, 5 Ways To Make Your Next Photo Stand Apart From The Rest! Today we’re going to be rounding out the in-camera part of the series by looking into the importance of managing scale in your landscape compositions, which is something that many photographers tend to overlook. One of the most appealing things about landscape photography is the ability to take capture scenes that are truly epic in scale. A massive mountain range, a sweeping ocean shoreline or the very sunrise itself all speak to us powerfully on an emotional level when we see them in person, but sometimes the actual scale of the events and objects we’re capturing gets lost in translation. Taking a picture of Uluru or Angel Falls is always going to be an exciting proposition, but the truly incredible scale of these geological beauties is often difficult to convey, especially when you’ve got to shoot from an incredible distance just to fit the entire thing into the frame. 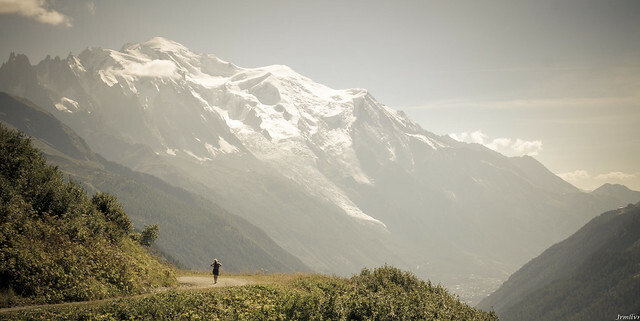 Our brains are simply not wired to understand scale on that level because we spend so much more of our time interacting with the world on a human-sized scale. That last point hints at the simplest solution to the problem of scale. Since we’re already wired to understand scale cues in a certain way, just include something in the frame that we understand the size of intuitively. A human being is a great option, if you happen to have a companion with you. If you’ve got a long enough self-timer or a remote shutter release, you could even work yourself into the foreground if you so choose. This idea ties in perfectly with something we mentioned in one of our earlier posts about landscape composition, 5 Tips for Striking Landscape Photographs. We were discussing the importance of balancing visual interest in both the foreground and the background, and how it can guide the eye through the photograph. Not only does including a human being in the shot give a sense of scale, but it also helps to create a story in the photo. Humans aren’t the only things that we’ve learned to immediately judge the scale of. Any kind of manufactured object or structure can be a great help especially if you’re shooting in a populated area, as you can see in the photo above. 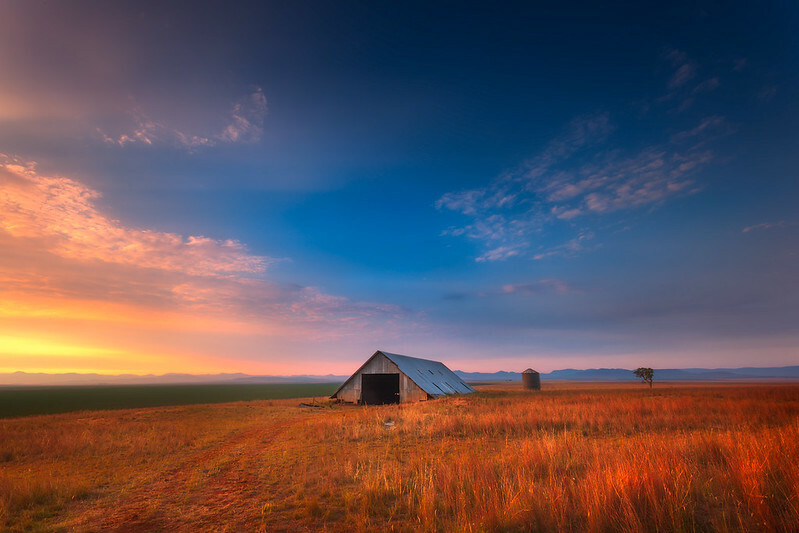 The barn helps give a sense of just how much of the sky is visible and how just far the mountains on the horizon are. When you’re looking through the viewfinder to compose your shot, always look around the edges of the frame for anything that might be useful as a cue for scale. Of course, it’s also possible to take the scale argument another way. Instead of worrying about losing the grandeur of a vista, deliberately play with the sense of scale, distorting it to catch the viewer unawares. An vast array of desert sand dunes can look like a day at the beach or an huge ocean wave can appear as though it were a windblown wave on a quiet lake if you balance out the scale cues in just the right way. Throughout nature many patterns repeat themselves at various scales. 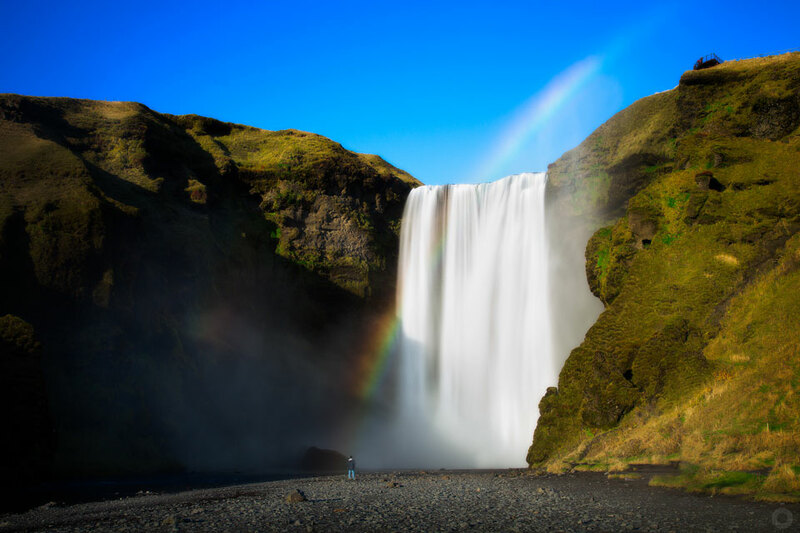 Entire mountain ranges erode in just the same way that far smaller hills do, and a waterfall the size of Niagara flows very similarly to the tiny falls of a forest brook. The more you grow adept at noticing these and using them to your advantage, the better your control of scale may be. Of course, it’s not just in nature scenes that you can play with scale. 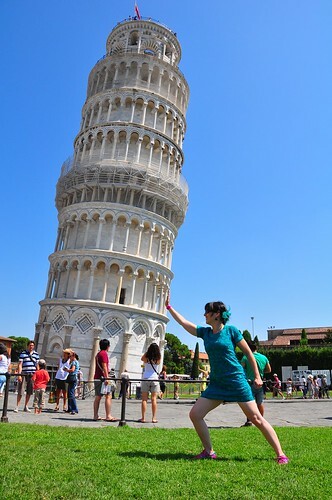 You may have seen the funny (but now rather overdone) concept that catches many tourists visiting the Leaning Tower of Pisa, where they balance the scale cues and pose so that it looks as though they are supporting the Tower all by themselves. You don’t have to go quite that far (plus, it’s always better to come up with your own ideas! ), but it’s a great illustration of what can be done with a bit of creative interpretation of the scene before you. It can be slightly more difficult to play with scale in a built environment like a city, because there are so many human-sized objects around almost everywhere that act as scale cues. Doorways, cars, the storeys of a building and even sidewalks are all naturally built for human interaction, which keeps them from being easily distorted, but it can be done. As with most things in photography, the key to working with scale is to understand the mental processes that change how we interpret images, and then use that understanding as a tool for the creation of your final image. It seems simple on the surface, but most things do once they’ve been explained 😉 It’s a pretty abstract skill, but still one that becomes more finely honed with practice, so get out there and start playing with scale! Once you get back from your experimental shoots, be sure to follow up for part 5 of the series where we look into the importance of post-production processing and how it can turn a great composition into a photographic masterpiece. Coming soon!